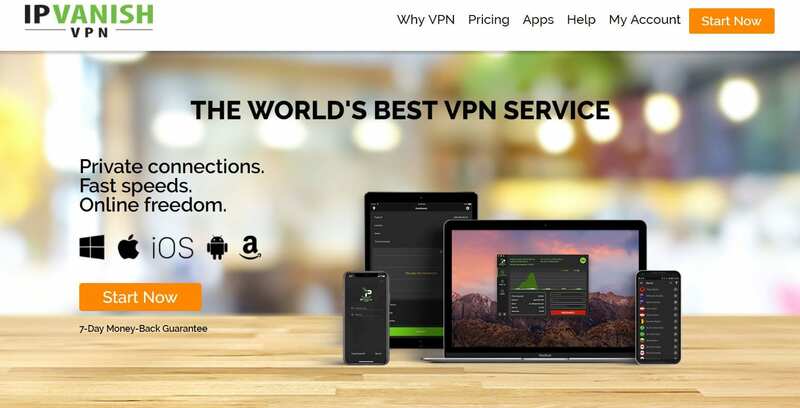 IPVanish Review (2019): A Top-Notch VPN Alternative! You are here: Home / VPN / IPVanish Review: A Top-Notch VPN Alternative! IPVanish Review: A Top-Notch VPN Alternative! The need for online privacy and anonymity has increased every year: hackers are an ever-present threat, as they can intercept your connection and steal your passwords. Even your credit cards numbers are at risk of being duplicated and used without your authorization. You can solve a lot of those security threats by hiring a reliable VPN service. Virtual Private Networks, or VPN, can mask the users’ IP address and hide all of their shared data and traffic with the intention of avoiding being visible online. The Internet is full of VPN clients of all types: free, paid, quality, and mediocre, there are dozens of providers out there. But only a few of them can claim to offer a complete, reliable service, and one of the most widely acclaimed is IPVanish. This article will give you in-depth insights of IPVanish. Stay tuned. With most of the VPN industry agreeing on its high speeds and overall good performance, IPVanish is one of the top five VPN clients available for users around the world. Based on the United States, IPVanish offers exciting features to go along with the ability to surf the web privately and anonymously. IPVanish, being arguably the fastest VPN service provider in the field, is ideally suited for streaming lovers, even those that like to watch HD multimedia content. Users will have an almost no-hassle experience, but since it has so many configuration options, it may not be perfect for beginners in the VPN world. Other features include the allowance of P2P activity, which means an excellent environment for torrenting is permitted, with safe downloads. IPVanish lets users configure their privacy needs and preferences, and it has over 850 servers in 60 countries around the world. IPVanish makes sure you can implement strong encryption, which means that the data you share while connected will not be available to prying eyes around the web. The Windows client may be a little confusing, but overall, this option delivers outstanding service. It has a desktop and mobile client, breakneck speeds in the UK and Europe, and highly configurable software as its primary positive points. The slowness of the customer and support service is another drawback. While IPVanish can’t offer 90, 80 or even 70 countries for the connection like a handful of other VPNs can, it is more than covered in that area, with over 850 servers in 60 nations strategically located around the globe. Imagine having the possibility of accessing sites, series, movies, streaming channels, torrent pages and other services from 60 nations worldwide: it is a dream scenario for people who love to get entertainment options on the web. Although it doesn’t have a server in Russia, IPVanish is prevalent in European countries, and also in its hometown, the United States of America: there, it has more than 400 servers in 17 different cities. Unfortunately, IPVanish is one of the victims of Netflix’s efforts to bring down VPN attempts to spoof the users’ location and access distinct geographical regions. The company blocked IPVanish’s servers, and thus users can’t enjoy the international content of this online multimedia platform. However, and since the currently reviewed VPN choice has the United States as its hometown, the American Netflix region (which has by far the most exciting and complete library of movies, TV series, and productions) is available in IPVanish. If you are big on Netflix, you might want to read our guide on best Netflix VPN. Kodi, as an open source multimedia platform, is a perfect choice for streaming addicts, as they don’t have to pay the Netflix’s subscription fee to enjoy the best movies, series, documentaries, short features, musicals, and other productions. Kodi functions with official and unofficial add-ons. Since lots of them are available internationally, they can’t be unblocked from any location unless you have a VPN. IPVanish is one of the best VPN for Kodi users because of its 60 countries (that means, you can get add-ons from 60 nations!) and incredible speeds. To run Kodi with your IPVanish VPN account, you just need to execute the app or client, depending on your device, and that’s it! You will have unlimited access to all the add-ons from anywhere you want. If you don’t encrypt your traffic and cover your identity, the Internet’s prying eyes will be able to see what you are doing. That, combined with some countries’ laws regarding torrenting and P2P activity, can limit your online experience and entertainment. Fortunately, VPN services can help you with that. IPVanish, in particular, provides an excellent atmosphere for torrenting and P2P activity, letting you interact without having to worry about governmental institutions prohibiting you from doing that. There is nothing like torrenting with 100% privacy, and to do it, IPVanish is the perfect tool, providing a safe environment and advanced features, such as the SOCKSS5 technology that allows you to be completely anonymous. The amazing Amazon Fire TV Stick is one of the most popular streaming devices in the planet right now, as it is highly portable and users can carry it around and use it wherever and whenever they may see fit. However, when combined with IPVanish, it works at its absolute best, because it protects the user from hackers and other threats with robust encryption and all the major protocols and it lets them access sites and content from 60 nations worldwide. In addition, IPVanish provides some of the fastest speeds in the industry, a perfect situation for streaming lovers. You can read more about the best VPN for FireStick. If you look at only the monthly price, you will notice that IPVanish is not precisely one of the cheapest VPN clients in the market, checking in at $10. However, if you consider all the features it offers, the secure encryption, privacy and anonymity, and the high number of servers and countries available for connection, then you will realize the fee is more than fair. 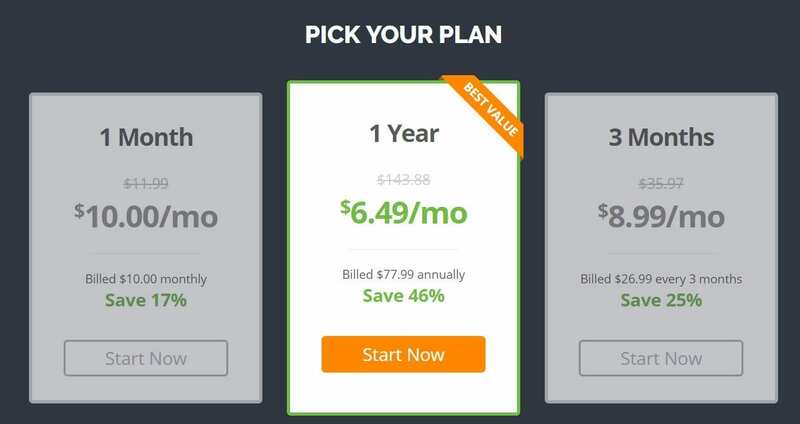 Besides the monthly plan, IPVanish, as numerous VPN clients often do, offers deals and discounts if the person acquires the service for longer than a month. For example, the quarterly mode checks in at $8.99, and the yearly one costs the equivalent of $6.49 per every 30 days. IPVanish Coupon: One of the best things about IPVanish is – it keeps offering discount coupons time to time which gives you an additional discount on its price. Currently, IPVanish coupon SAVE20NOW is live which you can use at the time of checkout and save additional 20%. One of the preferred VPN features is free trials and convenient refund policies. In that regard, IPVanish falls a little behind the top options, because it doesn’t have the former and the latter checks in at just a week. Sure, it is beneficial to test the features for seven days and after that deciding if it is worth it to pay a full plan, but most of the top alternatives have 15 or even 30-day money-back guarantees. An excellent trait for customers is the vast array of payment methods that IPVanish accepts for its services. Those include credit card (all the major ones,) PayPal, Bitcoin, Giropay, CashU, DineroMail and more. IPVanish passes almost all speed tests conducted by specialists and experts in the area. This US-based option can get 30-35 Mbps in UK servers and a similar rate in the rest of Europe, where it is known to be particularly strong. The speeds are not only high/fast but also consistent. Most servers in the United States can reach up to 25-30 Mbps. IPVanish has a compelling advantage over other providers: by choosing the option “Best server,” the system will automatically connect you, although you may find one manually that is faster than the one IPVanish assigns when choosing this feature. IPVanish has DNS leak protection and a killswitch, among other features, thus ensuring the users’ privacy while enjoying some of the best speeds in the VPN market. If you are in the UK, the rest of Europe or the United States, you may not find a faster client. IPVanish’s speeds can compete with even the most reliable VPN alternatives in the field, and that is something that streaming lovers do not take for granted. The “Best server” feature considerably enhances the user experience, mainly if the customer is a beginner in the VPN world. If IPVanish didn’t have that, it would be troublesome for a person using a Virtual Private Network for the first time to navigate through the dozens of options and configurations that this alternative has. The Android and iOS apps show your current IP address, the server you are connected to, and for how much time you have been using it. It also shows the customer how much data it has shared with the system. A minor drawback to IPVanish’s otherwise excellent service is the lack of an ad-block feature. There are few things as annoying as having to delay one’s online experience because of inappropriate advertising messages that you don’t desire to see. There are tutorials to install and set up IPVanish for Amazon Fire TV Stick, Windows, Mac, Linux, Android, and iOS, so users have guidance when they are amateur. These apps usually don’t take very long to download and be usable after installation. While the interface offers numerous configuration options that can personalize the VPN experience, its appearance is dark and unattractive. IPVanish is rich in security measures and features, especially on mobile devices such as iOS and Android. The user can “network block,” which means that some of your phone’s apps will not be able to connect to the internet until the VPN is enabled. And since IPVanish has unlimited data throughput, you can just leave it on permanently. With a useful, innovative system, IPVanish keeps you protected against unsafe, public Internet connections that don’t require a password when your phone, or laptop, has Wi-Fi activated. Numerous hackers take advantage of people’s lack of attention and naivety, but IPVanish makes sure you are not the latest victim. IPVanish uses the widely spread OpenVPN encryption, with AES-256 bit cipher, HMAC SHA1 data authentication, RSA-2048 handshake and HMAC SHA-256 control authentication. The AES 256-bit encryption is commissioned by USA’s government, because it regarded said method as the best of them all, using it to protect its online communications at all levels. Despite worries that the government can use IPVanish as a facilitator to read messages “hidden” through the AES-256 method, that is not the case since all significant VPN service providers implement the measure for encryption. 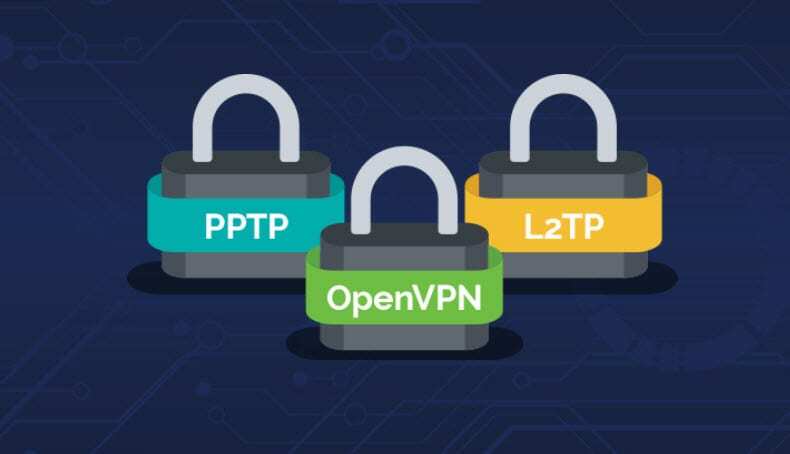 VPNs that implement AES-256 bit encryption with the OpenVPN protocol, as IPVanish does, are usually located near or at the top of the list when it comes to experts’ rankings and people’s preferences. IPVanish provides more than enough compatibility to satisfy most circles around the Internet. This brand has apps for Windows, Mac OS X, macOS, iOS, Android, and even Amazon Fire TV / Stick. That is especially convenient since IPVanish allows users to connect up to five different devices at the same time. IPVanish Windows client’s installer will put a shortcut for this VPN brand on your desktop. You just have to click on it to get the app up and running. After entering, you will need to provide the username and password you created in the sign-up process. When you are in, you should see three server locations in the main screen, located in the lower part of the layout, just above the button used to “Connect.” You will need to choose the country which you want to establish a connection with, then the city, and finally the server. You have the servers list to choose one of the 850 that IPVanish has to offer its loyal customers, and in the Settings part, you will find the necessary configurations and options to personalize your experience. By now, everybody is familiar with IPVanish and what its location on the world map means for privacy and logging of data and activity. Being in the United States, this option has to deal with possible pressures from the NSA and other law enforcement agencies. In addition to that, there are copyright defenders actively condemning alternatives like VPN for their roles in helping shady people do obscure stuff. If you are caught using a VPN to share and distribute pirated content, then the chances of going to jail are high. However, IPVanish allows P2P activity and trusts that its customers will not engage in such activities, and certainly does not endorse any criminal doings. While it may seem overly complicated for beginners and simplicity lovers, IPVanish does have exciting features that most VPN regulars will take and implement. For example, the company provides seven-day money back guarantee, and while it is not a number that can compete with other alternatives’ 15 or 30 days, it indeed comes in handy. The DNS leak protection makes sure that there are not WebRTC or IP leakages that can put your online identity or your digital assets in real danger. Also, a killswitch provides users the opportunity to protect their resources even if the VPN connection goes down. Five simultaneous connections allow users to combine numerous devices under the same VPN connection even if they don’t configure the encryption in their routers. The app is self-installing, helping beginner users. The interface, while not very attractive, is considered easy to use, although some circles have complained about the numerous menus, setups and configuration options. There is unlimited data throughput, though. Along with the +850 servers and the 60 countries that IPVanish provides the opportunity to connect its users, there is a pool of more than 40,000 IP addresses to give away. It means that customers can switch between servers in their quest for better speeds and performance. Despite all its useful and exciting features and offerings, IPVanish does not have dedicated extensions for specific web browsers, but it has a Chromebook-designed app for users of this operating system. Besides, it has apps for nearly all OS and devices. One of the let-downs of IPVanish is its customer service. There is a widespread impression that the time of response is a tad too high for most experts and people’s taste, as the help and support team can take more than a day to answer requirements and inquiries from users. It is a little surprising that IPVanish does not have a live chat feature or an email customer support staff that can answer a little faster, given the vast infrastructure and investment that the company has carefully put with the intention of offering a complete, quality product. The FAQ (Frequently Asked Questions) is the primary way of helping clients of IPVanish through the process of installing, setting up and assisting with accurate advice. Users can quickly search for specific items and features they want to know more about. Besides, IPVanish provides complete setup guides to correctly install and use this VPN service on all devices and under any operating system. If you need to know anything that the FAQ, tutorials, and guides can’t respond, however, you will need to get in touch with the support team via the form. After you fill the required files and send your message with your specific area of need, the IPVanish staff will get back to you via email. However, they usually take hours to respond, even a couple of days if you have bad luck. It is the weakest aspect of an otherwise top-notch VPN service provider. In conclusion, IPVanish is a fantastic VPN client that comfortably ranks among the best five in the business. It has an outstanding number of servers, and it can help its customers connect with 60 countries around the world. What does that number mean? Well, clients can have access to streaming content, torrenting sites, favorite websites and Kodi add-ons from 60 nations, which is an elite number that tops nearly all of the primary providers, with a few notable exceptions. IPVanish does have some weaknesses. For example, it does not have a free trial option, the refund policy is rather short when compared to other top competitors, it doesn’t have an ad blocker, and the Windows client can be a little awkward, judging by several expert opinions. However, its main drawback is nearly unresponsive customer service, without a live chat feature and taking forever to respond via email to simple queries or requirements that may be urgent. Nevertheless, IPVanish is one of the preferred options for streamers and torrent lovers around the world. Based in the United States, it has more than 400 servers there, spread in 17 locations. Given that the country has a ton of streaming sites and platforms, add-ons, shows, online channels and other kinds of content, IPVanish can be extremely helpful in your quest for unblocking things in America. By applying the military-like AES 256-bit encryption, IPVanish made sure your content and shared traffic is off-limits from spies and prying eyes on the web. It also provides its customers with the option to choose between several protocols, including OpenVPN, L2TP, and PPTP. IPVanish, despite its United States roots and being subject to several law enforcement agencies, does not keep logs of users’ activity, making sure they can navigate the web privately and with anonymity. The bottom line is that IPVanish is a top VPN, with excellent offerings and a good value if you take into account just how many features and unique elements it has. For experienced VPN users, IPVanish is a dreamy client because of all its possibilities for set up and configuration. Even if you choose to purchase the most expensive plan, which is the monthly one, you surely won’t be disappointed, as the prospect of having access to content from 60 countries with high speeds and constant performance is hugely enticing. Are VPNs Legal and Safe to Use? Hye Sharon, that will make no issues. You can use a VPN from anywhere in the World. It is not restricted to your current location.